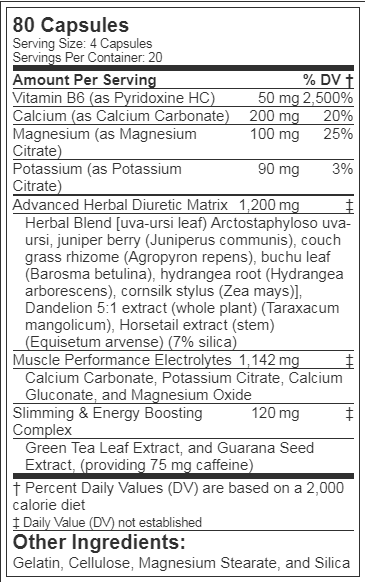 Powerful Herbal Diuretic for Men & Women. Rapid Water Loss & Support Muscle Definition. Promotes Reduced Bloating & Supports Fat Loss. Perfect For Special Occasions & to Boost Confidence. Added Electrolytes For Cramping Support. 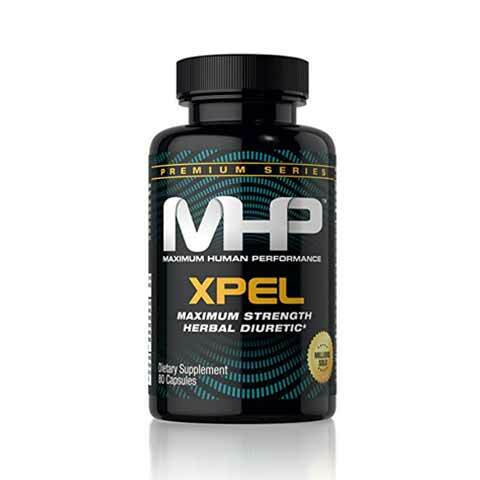 MHP Xpel Maximum Strength Herbal Diuretic is all natural, provides water loss, and is beneficial to men and women. Xpel is an extremely powerful herbal diuretic designed to help the body dramatically eliminate excess water retention from beneath the skin. This maximum strength botanical formula also supplies the proper balance of vital electrolytes that helps maintain muscle performance and muscle fullness. XPEL’s proprietary formula is designed to eliminate water fast. It goes to work almost immediately, safely flushing out excess water while effectively replenishing key electrolytes to prevent cramping and keep your muscles strong. Aids in removing excess water. Maintains a normal body fluid balance. Enhances a weight loss program. Promotes a lean muscular look. Gelatin, Cellulose, Magnesium Stearate, and Silica. Take 4 capsules with 16 oz. of water twice daily – once in the morning and once in the afternoon. Drink at least 6 to 8 glasses of water daily. Do not exceed recommended dosage.